New to the market are these four Rod Pod kits, with a choice of slim or wide for both 2-rod and 3-rod set ups. Both the Slim Kits feature a 4¾-inch rear buzz bar and a 5¾-inch front, while the wide sets include a 7¾-inch and an 8¾inch arrangement. All four also come with a full complement of accessories. 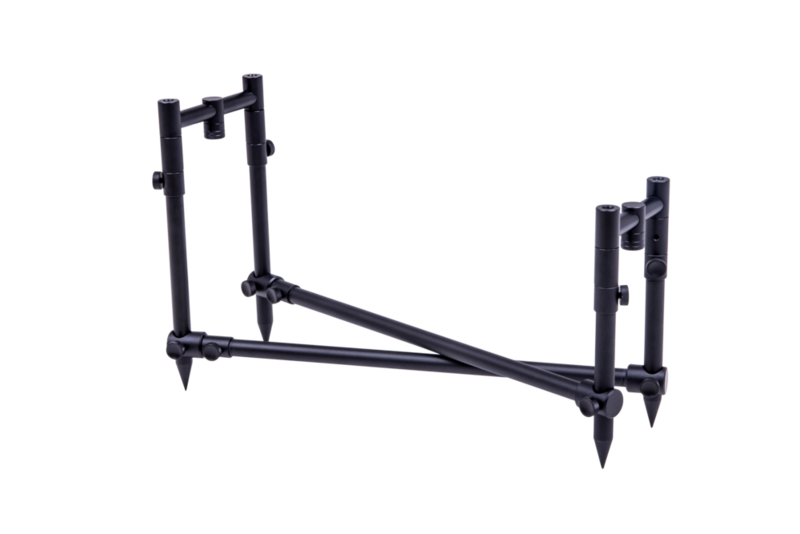 They have two 7½-inch banksticks, two 9-inch banksticks and a set of crossbars which extend from 45 to 80cm – more than ample for any set up. The sticks and crossbars feature easy-to-grip thumbscrews, while another nice touch is the provision of indicator-chain mounting points in the necks of all the uprights! All in all, Wychwood have provided you with a kit that covers every eventuality, whether you want to use single banksticks (you’ll need two more for a 3-rod set up), conventional buzz bars, or even a goalpost-style set up should you not require a pod.